Summer is coming to an end and temperatures are getting cooler. 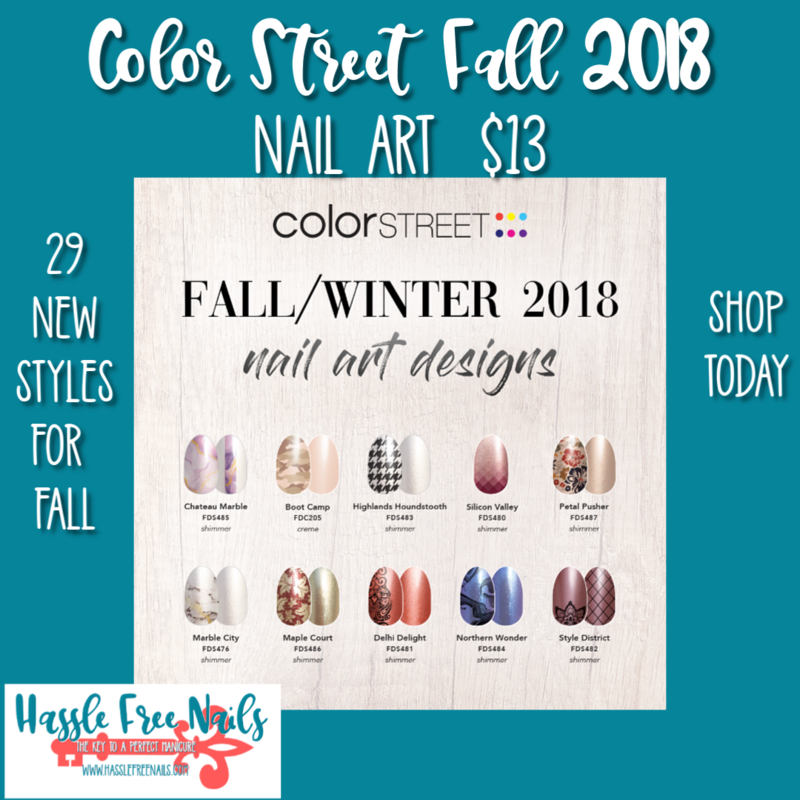 It is time to get out your sweaters and get your nails ready for fall!! 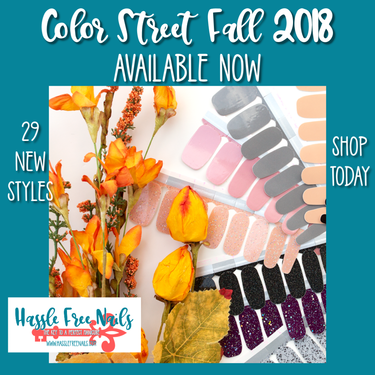 Color Street to the rescue to have salon manicured nails at home in minutes. 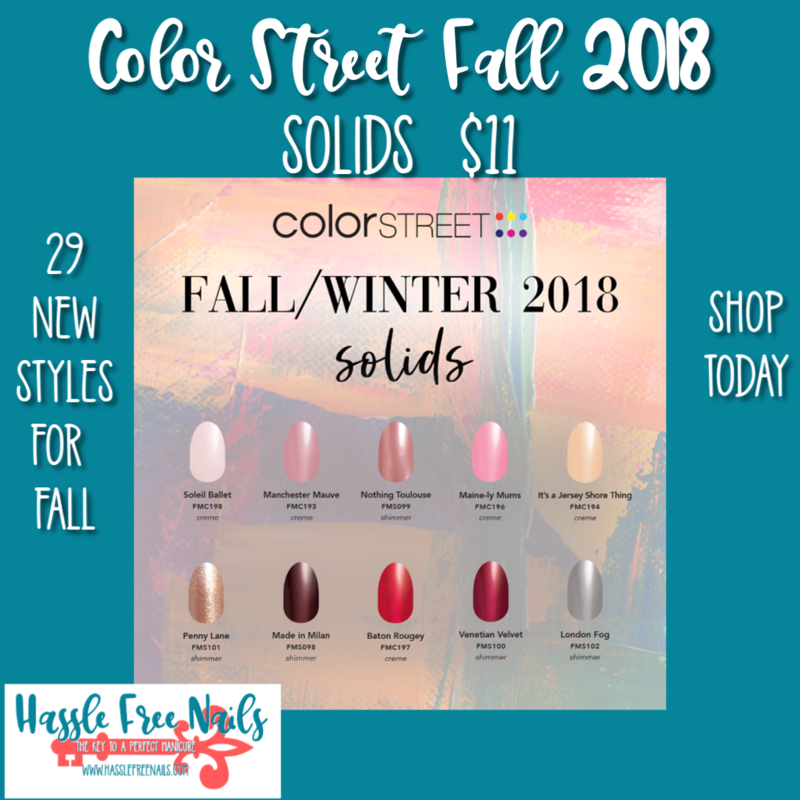 The new Fall Line is available now with 29 new styles to compliment all of the fashion trends of the season. 10 new solid shades will be joining all of our other greats! 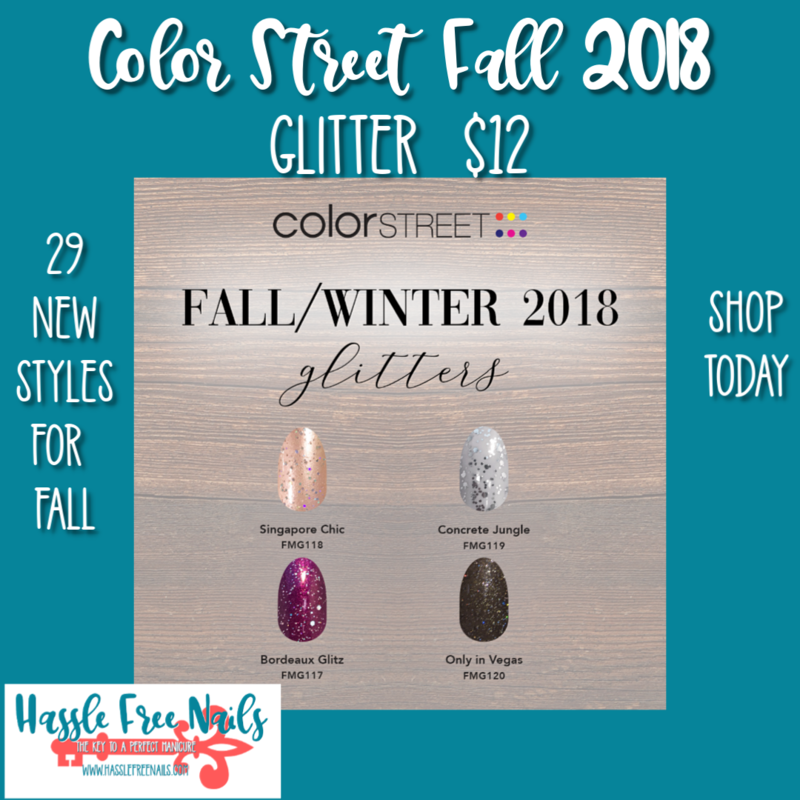 4 New Glitters are being added! You can never have enough sparkle in your life! 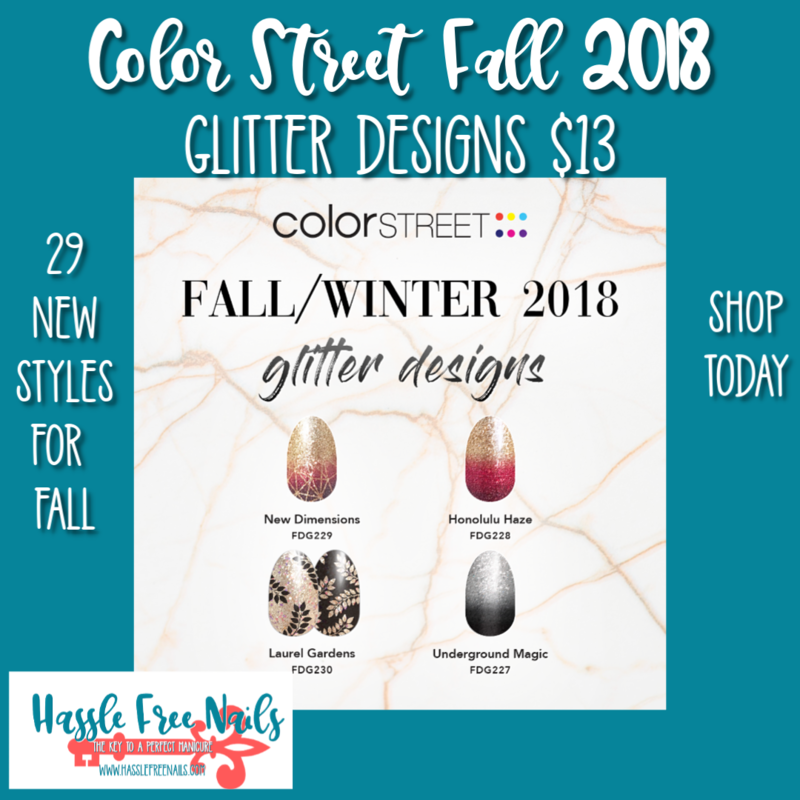 4 New Glitter Designs are joining our great line up. 10 New Nail Art styles are joining the collection.